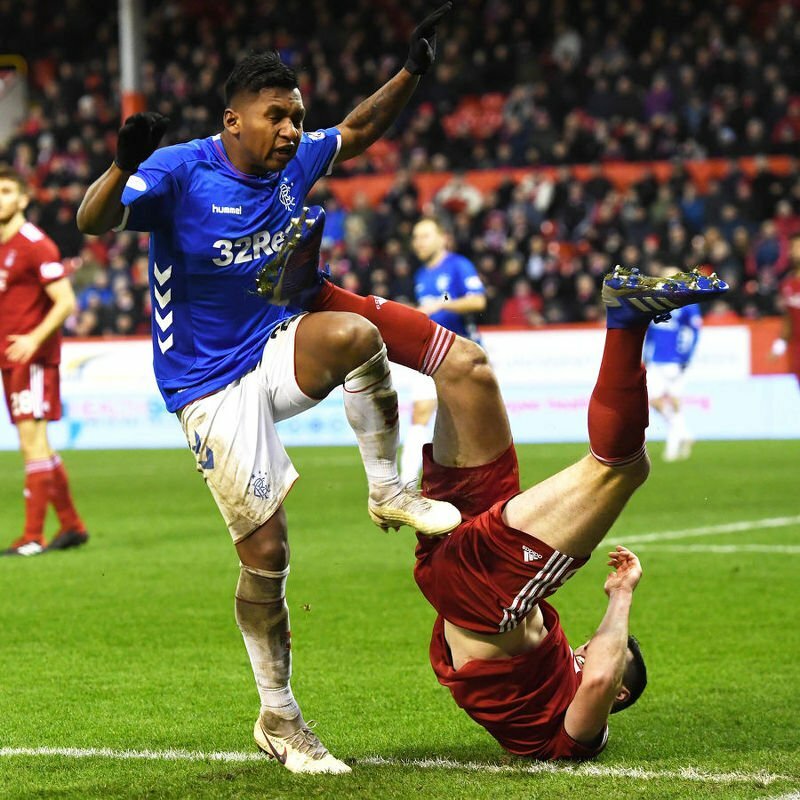 Alfredo Morelos’ indiscipline was again the big talking point after he was sent off for the third time against Aberdeen this season as Rangers kept the pressure on league leaders Celtic with a pulsating 4-2 victory a Pittodrie. The Colombian is the Gers’ top scorer in the current campaign, though at times he can be their biggest liability. He had already netted twice to take his season’s tally to 22 before tangling with Scott McKenna after the break. The pair appeared to aim kicks at each other, with referee Bobby Madden showing red cards to both players. The striker’s contribution in front of goal is the reason Steven Gerrard’s side remain just six points behind Celtic in the title race but his flawed temperament must be a source of real frustration for his manager. On this occasion his dismissal didn’t prove costly, Rangers edging the thrilling contest on a night of drama in the Granite City. James Tavernier netted from the spot to send the Light Blues in at half-time 3-1 ahead. Sam Cosgrove converted a penalty minutes after the restart but while the home side had the better of the game after the Morelos incident, it was Rangers who stretched their advantage in stoppage time through Jermain Defoe. “In terms of the incidents I haven’t seen them to comment on,” said Gerrard. “I am not going to take the physical side away from him because he’ll get bullied out there. “He’ll get bullied every game because he’s up against some strong, physical players. But for Alfredo to get to the next level and move in his career – and for people to trust him – he does have to channel it in the right way. Gerrard added: “We had to hang on a little bit at the end at times and it was difficult to find the formation to get us over the line. 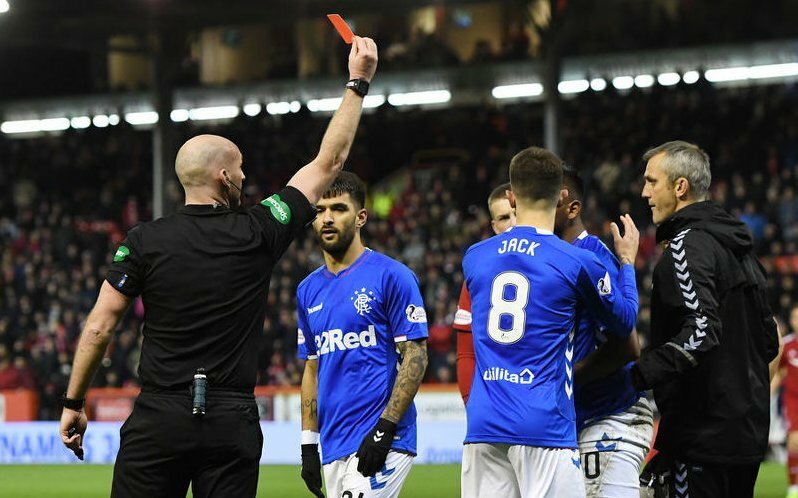 Rangers keeper Allan McGregor was fortunate not to see red – and concede a penalty – after a studs-up challenge on Lewis Ferguson as he broke into the box looking for an equaliser. “Coming out with studs up like that is dangerous. 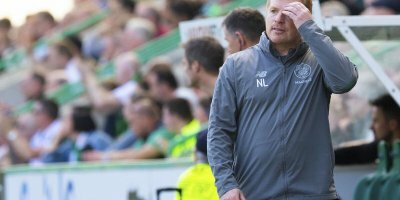 It’s a foul regardless of whether he has a pair of gloves on,” said Dons boss Derek McInnes, whose side fell five points behind Rangers with the defeat. 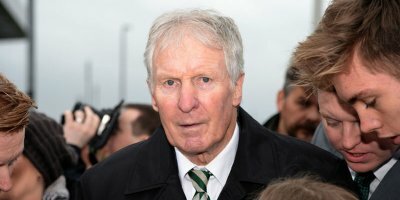 Leaders Celtic continued their good start to 2019 with a win over managerless Hibs at Parkhead. The champions have yet to concede a goal in six matches this year, Ryan Christie and Oliver Burke netting the goals on this occasion which maintained daylight at the top of the table for Brendan Rodgers’s outfit. Brian Rice earned his first win since taking charge of Hamilton, George Oakley clinching a crucial victory at home to St Johnstone. Dundee striker Kenny Miller had a golden chance to secure a win over high-flyingKilmarnock but missed his stoppage-time penalty at Dens Park. Motherwell continued their recent good run with a win at St Mirren to leave the Buddies rooted to the bottom of the table, while in the other Premiership encounter, Hearts and Livingston fought out a drab goalless draw. South of the Border, Manchester City returned to the top of the English Premier League for the first time since 16 December after beating Everton 2-0 at Goodison Park. Aymeric Laporte headed the defending champions into the lead as the interval approached, Gabriel Jesus clinching the points in stoppage time. City have played one more game than Liverpool but are level on points at the top, Pep Guardiola’s side with a far superior goal difference. The Reds, who have stuttered in recent games to allow City to close in, host Bournemouth on Saturday with Chelsea visiting the Etihad the following day. “A few days ago we could have been seven points behind. 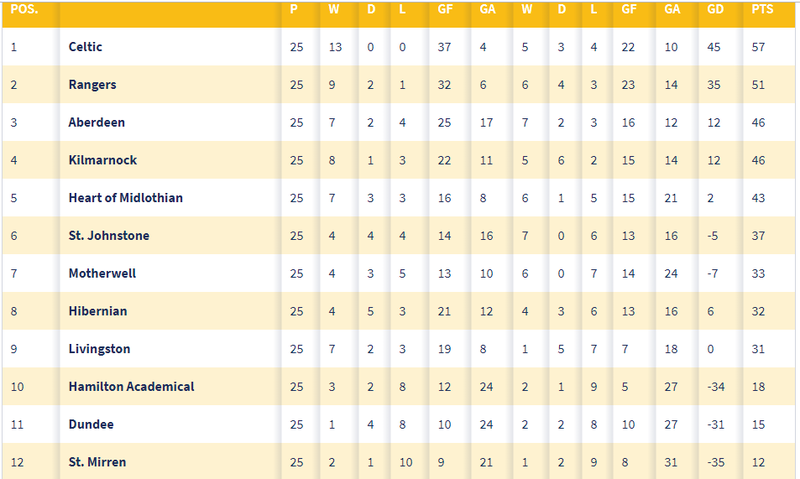 Now we are top of the league. That is the best advice, the lesson is – never give up,” said Guardiola.